Like it or not, appearances are everything in broadcast journalism and it’s important for our students to get it technically right every time. This isn’t a matter of vanity, but one of journalism ethics. An unbalanced camera can make a source appear “crooked” or untrustworthy. Overmodulated audio can make a statement unintelligible. Choppy editing can confuse the audience. Sloppy work has a direct impact on the audience’s understanding of the facts and their perception of a source’s credibility. Improving technical abilities and ensuring quality work takes practice and hard work. Here are some ways that I train and test my students to prepare them for success. Writing is the most important skill for broadcast journalists, and we write with images and sounds as well as words. After reviewing story structure and broadcast style, I give my class a couple of writing projects. I find a real article in the newspaper or a newscast, scramble the facts, add a few red herrings, and have the students write a 30 second story in broadcast style. Review & critique the stories in class. 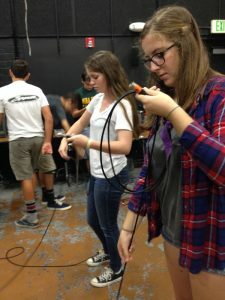 Students learn to wrap audio cables correctly. The biggest concern about recording audio is making sure the gear works right. We use wired mics, so XLR cables are important to keep in good shape. The students spend two entire class periods learning how to wrap cables. At the end of the second day, we have a Cable Rodeo, which is a competition to see who can wrap a cable correctly the fastest. Awards include bragging rights, extra credit or halloween candy. Early in the year, it’s important to get the staff up to speed with Final Cut Pro. Every student has an editing test where they must edit a complete 90 second newspackage in one class period. I provide the voice over, interviews and b-roll, so all they have to do is cut it together. This is also great practice for the JEA write-off contests at the conventions. In order to earn the right to use equipment outside of the classroom, all students must pass a camera test. This includes setting up a camera (including setting focus, white balance, exposure and audio levels), with a mic and headphones, and recording video and sound. They must setup, record and properly wrap the kit in under seven minutes. This is a pass/fail test and there are no makeups. It’s a tall order, but they all pass. I won’t always be with them, so it’s important for them to be able to bring back usable footage and not break the gear! Mustang Morning News staff take a timed test to show their competence with the gear. Dedicating this much class time to training can seem like a drag, especially when you could be using that time to produce stories. 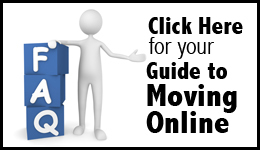 But by giving your staff a solid foundation, you will avoid many headaches and lost time when kids have to go back to reshoot footage because of silly mistakes. (Our mantra is #YOSO–You Only Shoot Once.) Your equipment will also last longer when kids know how to properly setup and stow the gear, and avoid damage. But the biggest benefit to this process is that rigorously trained students won’t have to worry about how to use equipment, and can instead focus their attention on what’s truly important: being a journalist. 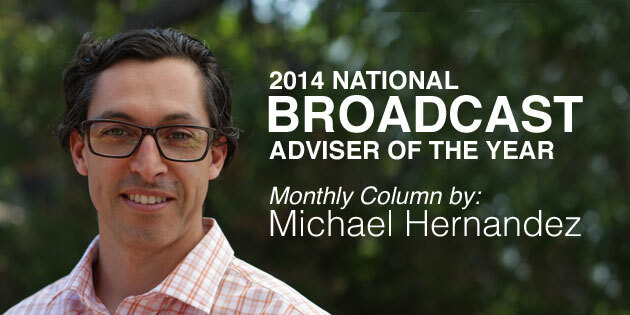 Excellent article Michael! I agree that writing is the most important skill a broadcast journalist should possess but they must also have a working knowledge of their equipment. #YOSO I also like that you list audio as your first non-writing skill which in my experience is the most overlooked part of video. I think it’s time for a cable rodeo at my school!